International Monetary Fund Director Christine Lagarde. Photo courtesy of EFE. The aging of the population is a known challenge. The International Monetary Fund has now dedicated an extensive analysis to it which is part of a set of documents it has released in advance of its biannual summit. What is especially worthy of attention is the aggressiveness and severity with which it treats the problem. The Fund calls, among other things, for the decrease of benefits and the delay of retirement age because of “the risk that people will live longer than expected”. It also proposes market solutions to mitigate this “risk”. This is what economists in the camp of the Spaniard José Viñals call “the risk of longevity”. They give data to put it in this context: “if average life expectancy increases three years more than it is expected to by 2050, the cost of old age – which is already enormous for governments, businesses, insurers, and individuals – would increase 50%” in advanced economies, using the reference of 2010 GDP. For emerging countries, the additional cost would be 25%. In absolute terms, the cost on a global scale would be in the tens of billions of dollars. This poses a risk for the sustainability of public finances given the levels of public debt which would have to be issued. There is a parallel risk for the solvency of private enterprises. According to Viñals’s explanation at the press conference in which the report was presented, “longer life is good, but it brings significant financial risk.” “We are going to cost more as individuals to corporations and governments. So we should worry now about the risk of longevity, so that these costs do not catch up with us in the future,” commented Viñals, who leads the IMF’s Capital Markets Department. In 1750, life expectancy for those born in Western European countries was not even 40. Since 1900, there has been a linear increase to age 80 in 2010. On a global scale, life expectancy has increased from 48 in 1950 to 70 in the last year of data available. But what changes calculations, according to the IMF, is increasing life expectancy for those living until age 60. The United Nations projects that by 2050, the life expectancy from age 60 onward will reach 26 years in advanced economies and 22 years in developing countries. This signifies that life expectancy will increase one month for every year until then. The Europeans who lived to age 60 in 1910 had an average of 15 more years ahead of them after that. A century later, they have 24. As the population lives longer, more pensions and benefits will be paid out of social security. One example is American private pension plans. “Businesses would have to multiply their contributions many times to be able to confront those passive additions [to payments],” he points out. “Recognizing and mitigating this risk is a process that should begin now,” he reiterates. The public sector as well as the private one has been preparing to amortize the financial impact of aging for years. But the IMF believes that the demographic evolution of the population was underestimated and it will weigh “more than expected” on a balance which is already unstable in both sectors. This also threatens to exacerbate nations’ vulnerability to other crises. 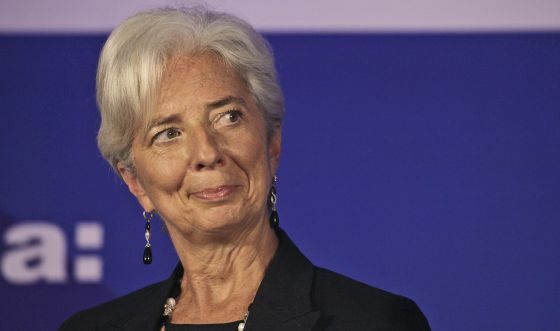 Christine Lagarde, director general of the IMF, wants the spring meeting in Washington to serve as a way to look ahead. That is, she is demanding that governments recognize that aging could create a serious problem in the future and that it is a risk. To neutralize its effects, she recommends combining the increase of the retirement age with other measures. To delay retirement age, she proposes linking it to life expectancy such that the number of years during which the elderly receive pensions will not increase. In a recent Spanish reform, the beginning of the pension system was delayed until 67 years in a progressive way which already prefigured a mechanism of this type, called the “factor of sustainability”. And the law foresees that the key variables in the pension system (like the age of retirement) will be revised every 5 years starting in 2027 as a function of life expectancy. As such, the report on financial stability argues that resorting to capital markets would transfer pension plans’ risk of longevity onto the institutions that have the greatest capacity to handle that. The organization’s economists also argue that individuals increase their own savings through pension plans and recommends the facilitation or even obligation to contract lifetime sources of income. It also approves the use of inverse mortgages, in which a property is given up at the time of death instead of being paid for with income until death. The Fund also asks for more transparency from countries in reporting on their aging trends and how they are preparing to finance retirements. The IMF concludes by reminding readers that all these reforms “would take years to bear fruit” but that any delay in the process will make it more difficult to face up to the problem as needed. “Paying attention to the aging of the population and the risk of additional longevity is part of the set of reforms necessary to restore confidence in the viability of balance sheets in the public and private sector,” it argues. This entry was posted on April 15, 2012 at 7:00 pm and is filed under Politics, Translations. You can subscribe via RSS 2.0 feed to this post's comments. You can comment below, or link to this permanent URL from your own site. Don’t see any comments here… wonder why not? Just when in France life expectancy has receded for the first time since 1969. Imagine the hypocrisy of that capitalist whore. Well, I guess people have realised what means. We are simply to shortsighted :(. In other words, it means your life is less worthy, the older you get. Sad !